Social status, and not any other interest like discovering a new locale, is the over-riding factor that drives a vast majority of Indians (75 percent of those polled) who undertake a leisure travel, says a report. 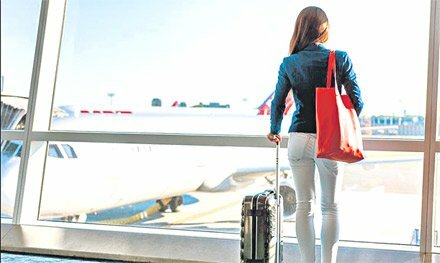 A majority of Indians (88 percent) also travel to ‘give themselves some time to relax,’ says a study by Booking.com. 75 percent of Indonesians and 80 percent of Filipinos also say they travel ‘to places, where their friends have not been to’. The online study was carried out among 53,492 from 31 countries, of whom 1,852 were Indians, between October 16 and November 12, 2018. For most nationalities, the top motivation to travel is to get some downtime, the study said. It reveals that 85 percent of global travellers, ‘giving myself time to relax’ is an important motivation to travel. However, Danish and French travellers are taken by ‘being free to act how I feel’. Further, it reveals that Argentineans (73 percent) are most easily tempted by ‘nostalgia to rediscover past good times’, while 83 percent Chinese and 76 percent of the Taiwanese polled attach relatively high importance to ‘experiencing a simpler lifestyle.’ Japanese (66 percent), Germans (72 percent) and Hongkongers (80 percent) are most likely to travel to ‘get away from the demands at home’.